Find this book at an independent bookseller near you (via IndieBound). This book is freaking HUGE. It's two feet tall; the font is 1/4 of inch. And it's filled with the most gorgeous reproductions of Botticelli paintings I've ever seen. The reason why I picked this book up is that I'm resolved to learn more about art work that really moved me as part of my art history challenge. The moment I saw The Birth of Venus is one of the most memorable of my life. It's such a canonical work in art history that it's almost cheesy; so I wasn't honestly expecting much. But in person this piece is AMAZING, and it definitely deserves its rep as one of the most famous paintings in Western art. The Birth of Venus straight-up comes alive when you see it. I remember hearing the rush of the waves, feeling the breeze against my face, and seeing the water move. It's honestly an entrancing work of art. Like Donatello's Mary Magdalen, The Birth of Venus is something of a mystery. Why and for whom Botticelli painted it is unknown (although it was most likely for the Medicis). In fact, the painting itself is actually very ground-breaking for its time, since there wasn't a tradition of mythology scenes yet established. Botticelli had to come up with his own visual vocabulary for the scene (which, if you've ever wandered around a fifteenth-century section of an art museum, was unusual all by itself--most artists recycled images endlessly). At the same time, he was drawing inspiration from classical texts like Homeric hymns and famous ancient artists like Apelles--who was said to have painted Alexander the Great's mistress as Venus on a half-shell, only to fall in love with her--and Praxiteles, who created the most important sculpture in antiquity, Aphrodite of Knidos. But for these pieces, Botticelli only had written descriptions or copies to go off of. As a result, the imagery in Birth of Venus is very ambiguous--who are the figures to either side of Aphrodite? No one really knows, although there are some good theories. I think the Apelles and Praxiteles connection is the most relevant reference to this piece, because both of those artists were famous for making their work seem alive, and Botticelli's Birth of Venus definitely does that. If he was looking to become "The Modern Apelles," I think succeeded in spades. I never understood what the power of art really was until I saw this painting. Anyway, I really like this book. There's a lot of good information in it, and it's well-written--not painful to read at all. Plus, as I mentioned, the pictures are spectacular. 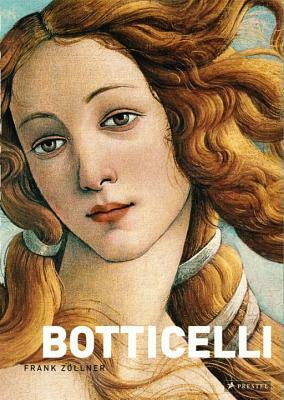 This book is candy for the eye and mind, and I highly recommend checking it out if you're interested in Botticelli's life and work.